It’s been a year of weather-driven misery for many farmers across the agricultural spectrum, but in the free-range egg sector in particular tensions are at breaking point as producers struggle with profitability and a mismatched supply-demand balance. The scorching summer might have brought joy to the sun-starved British public, but in the parched wheat fields volumes were badly hit, leading to a knock-on effect throughout the supply chain. AHDB figures show that the wheat price rose from £143/t at the turn of the year to a high of £194/t on 7 August, and while it has dropped back a little since, prices were still at a troublingly high £176/t in September. 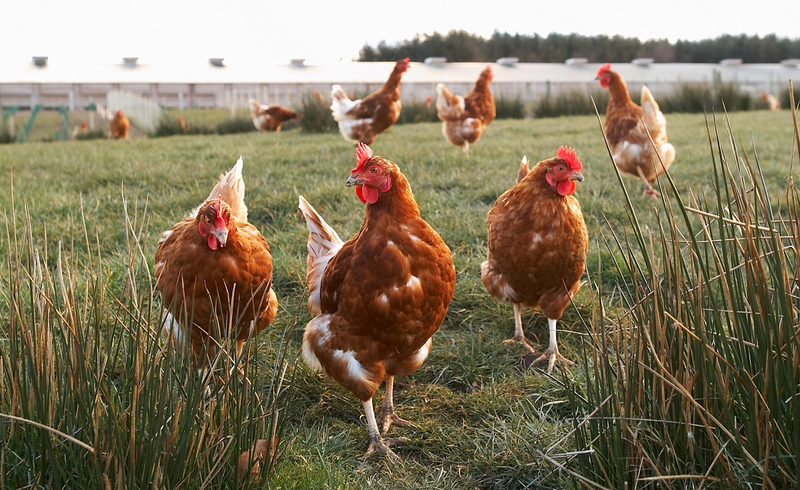 That in turn has led to feed prices rising to a five-year high of £240-270/t, according to the British Free Range Egg Producers’ Association (BFREPA), which says an immediate price rise is needed to avoid financial devastation across the sector. Indeed, Defra statistics lift the lid on how, despite the growing popularity of free range, the price has declined noticeably since 2015. In the second quarter of 2018, the average farmgate free-range egg price was 81.3p per dozen, down from 98.4p three years ago, a 17 per cent decline. Some 53 per cent of eggs produced in the latest three-month period were free range, with the vast majority of the rest produced in enriched cages. That’s a substantial increase on the 44 per cent seen just three years ago. Retail shelf prices, meanwhile, have remained largely unchanged: a dozen large free-range eggs currently cost anything from £1.75 in Aldi to £2.25 in Sainsbury’s, with most stores settling around the £1.85 mark for own-label product. Putting further meat on the bones, BFREPA analysis reveals that in the current market farmers are losing substantial amounts that threaten not just the viability of their businesses but also their livelihoods. Producers are on average losing 50p a bird if they have paid for all of their investments, but that rises to an eye-watering £4.50 per hen for those who still have to cover finance and depreciation of investments. That would mean a clearly unsustainable £72,000 loss for a farmer with an average flock of 16,000 birds. To remedy the situation, BFREPA has two main asks of packers and retailers. The first is that they offer feed-tracker contracts, that’s to say commitments that the returns to farmers will move depending on the price of feed, a situation that already exists in the broiler and pig sectors. Sources say Tesco has begun offering farmers, via supplier Noble Foods, the option of a feed-tracker deal, although Noble declined to comment on the current price pressure when approached by Poultry Business. The second thing is a simple price rise: Gooch wants a return to the £1 a dozen mark of three years ago, which would be enough to cover the increase in feed costs and inject stability back into the production sector. If that doesn’t happen, then there could be harsh consequences at the farm gate. Gooch says he knows of a couple of producers who are already pulling out, while Blackdown Hills Westcountry Eggs ceased trading in July. The Somerset-based business, which supplied free-range eggs to retailers and restaurants, blamed commercial pressures and a tough market for its demise. With an industry made up of many small suppliers, the free-range egg sector hasn’t been able to co-ordinate itself to secure better prices up to this point. The influx of new players has added to a mixture of small, independent producers who are not directly aligned to a packer or retailer, meaning supply chain relationships are not as close as in other sectors. But the mood is shifting, and there’s now a concerted push to achieve a more sustainable contract model and secure the future for one of the most important staples of the UK shopping basket.